Does Magic Really Exist? Does Magic Really Exist? 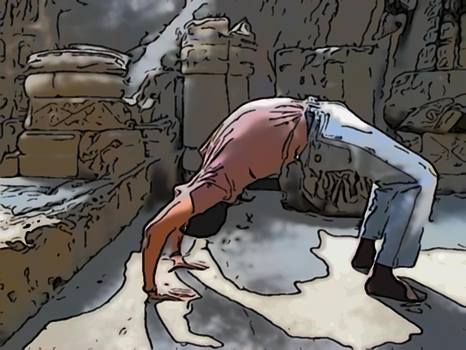 Welcome to Part 5 of The Seeker’s Story, where Namit continues his exploration into yoga philosophy and discusses whether or not magic and magical powers actually exist, and if so, what magic actually is. The next day came and on this particular day I came across yogi ji and he was supporting himself on his feet and hands with his body in an arch shape. This really did look quite remarkable. ‘Yogi ji that looks lovely.’ I called out. ‘Thank you’ came his reply. Soon he sat down next to me and we started talking again. ‘Okay well one thing I have always wanted to know is this. Is magic real or does it just belong to fairy tales?’ I asked yogi ji. This really was something that I had always wondered about. As a kid I was always intrigued by stories of magic and I guess that growing up I realised that science has proved otherwise. But I always had a feeling that magic exists. My curiosity wanted some kind of proof. ‘What is ordinary? Life is extraordinary Jake, the fact that we breathe, the fact that flowers and plants grow so beautifully, those fish in that lake, it is all so magical, your feelings, my feelings, the things that make us human, the fact that we see in so many colours, and are moved by sounds and music. When yogi ji left I stared at everything. I stared at the flowers and just marvelled at their beautiful colours, their beautiful shapes and their beautiful smells. I sat in the shade of a tree and marvelled at the fact that nature had created so may beautiful things. Is there really magic in everything? I wondered to myself. I guess that would explain why there are so many stories about magic. I guess people do feel it and see it. And I guess that in the past people felt magic around us much more because there were fewer machines around to take that feeling of magic away. Nature, its beauty and its magic were everywhere. That night when I went back to the house I saw Mrs Rai cooking and I looked at the flame on the stove. Even fire is magical I thought to myself. The meal that night was delicious again. It was a dish called aloo which means potato. I thanked Mrs Rai and the family for the lovely meal and before retreating to my room I climbed out onto the roof garden that they had on the house. I looked at the stars in the night’s sky and just thought to myself that this whole universe has so much magic and so many wonders it is amazing.